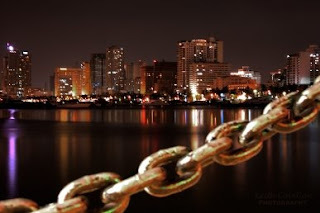 What quantify Manila in a Photo Shoot Trip? If time is not on your side, and there's only a limited number of places you can visit for shoot in Manila, a [site] written by a local Filipino is a good read in preparation to visit the city. Well, its not a pictorial site to begin with but goes well with a cup of hot chocolate on a lounge chair. In fact, my hotel location is based on what I read here. If you are still struggling to get sharp images with your 50mm prime lens, it could be that you are not using the sweet spot of this lens. I now shoot exclusively at Aperture Priority mode with this lens and I now find the sweet spot to be at F/2.8. As mentioned, the Nikon D90 autofocus engine may, at times, be confused on where you want tack sharpness, so give it break by telling her precisely what autofocus mode you desire. I prefer single point on the Nikon D90. If time is where you have plenty this weekend, check out this [site] to find out more about your lens. Its personally one of the best I found in addressing this article. 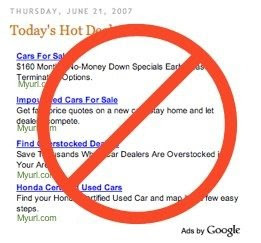 Hmm...as the quality of the Advertisement is getting from bad to worse with Google, I have decided to remove them completely. I visited a few of those links and boy, were they rubbish content! I do apologize if they have led you visitors somewhere completely irrelevant. I guess Google is no longer concerned about integrity of publishers but rather revenue. Another trick the pros use is, when possible, shoot at your lens' sharpest aperture. For most lenses, that is about two full stops smaller than wide open (so the f-stop number you use will go higher by two stops). For example, if you had an f/2.8 lens, the sharpest apertures for that lens would be f/5.6 and f/8. Obviously, good glass makes (those with big aperture) a big difference, if you can afford it that is, to get sharp images...duh. Next, avoid Increasing Your ISO, Even in Dim Light. I know our camera can do Noise Reduction actively but still I wouldn't recommend shots above ISO 800 to be taken. Some pros believe they should sharpen all their shots with Adobe Photoshop or Aperture. Well, that's something I don't prefer as it's towards the extreme aspect of artificial photography. But well, be my guest to do that when necessary. Shoot in RAW please that your post processing be pleasantly possible. Having photos that are sharp and in focus is so vitally important to pro photographers that they actually have coined a term for them. They call them "tack sharp." And the road to sharpness is the faithful use of your good tripod always in your shoot (Day or Night). This may take more work but is also one of the key factor that separates professionals from amateurs. Tip #2 of this article, use the 2 seconds self-timer for each shoot, and never with your fingers to immediately release the shutter. Once again, my favorite feature to turn on is mirror lock up delay. This stabilizes the mirror in place before actually releasing the shutter. Also remember our little test with VR lens earlier on? Turn it off when in tripod mode please. Right after my trip to the Philippines, I will be making my annual trip to Hong Kong for families and photography come March! No more work for 10 days! Yes! (But I still have to bring along my Blackberry though) And I figure I must do some homework too with my Nikon D90 there. 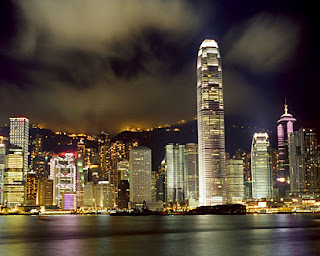 Frankly, I have been to Hong Kong for over a dozen of times now but never before with my Nikon D90! So, this will be a different trip altogether. I know its supposed to be a hobby, a time where you enjoy composing and shooting with your new-found passion. But if you ever wonder how well you compare with the professional, you are not alone. In a mini quest to achieve this, I engaged my broken japanese proficiency to navigate within Nikon Japan web site where I discovered this gem micro site - [Nikon Independents]. With it, many lessons were learnt appreciating each picture on my part, with each featured photo guiding me to fine tune my composure. Something new to improve ourselves today with the use of the Nikon D90. To my horror, the number of Scam online shops selling Nikon gears have shot up recently in Google Adsense, and I just manage to log a feedback to Google on this issue alone. The clock meter to shoot solely with the Nikkor 50mm lens is coming to a thousand for me, and I think its good. These lens are all designed to go beyond 100,000 shots and last for years with good maintenance. The few feedback to share with the use of this lens is this - its so portable! And in rising occasions, razor sharp. But I must say you need to tweak your Nikon D90 to single focus, 6mm center focus point and all to use the Nikkor 50mm well. Still then, I can't help but notice that the Nikon D90 CAM1000 focusing engine could not nail where I wanted many a times with this lens. Slight variance in where you want sharp focusing seems to throw the subject off. In the video department, I have been recording up to 20 videos so far with the Nikkor 50mm lens and I must say its such a pleasure to do so with the focusing ring on the outer tip of the lens. Makes focusing smooth and easy. But remember to switch your AF/M flick switch to M on the camera body before recording your first video. Moving back to the 18-105mm kit lens yesterday, everything suddenly felt so out of place! I guess my mind has been accustomed to the fixed focusing distance of 50mm. Next I notice, the ISO is back in the 3200 range with the kit lens, bringing back the graininess of the image I took with it. Everything is so wierd. I am switching back to the 50mm lens today. 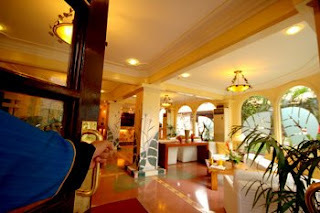 For those of you wanting to ever visit Manila for some work and hobby shoot trips, my result of a 4-hour extensive survey of the entire Metro Manila area has provided me enough intelligence (due to my ex-military background) to pick one most strategically located for the shoot - Best Western Hotel La Corona Manila. Centrally located close to the Manila bay, its pretty close to the old walled city, Chinatown and even the biggest shopping mall in Manila! But don't get your hopes to high on me...I do not know if there's really anything worthwhile to shoot in the city (Remember that my trip is a work trip?). 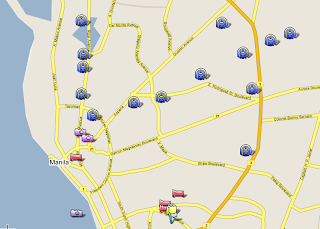 The lack of good accurate maps of Manila has resulted in me creating one via Google maps! Here it is of Manila...obviously it can be more detailed but that's all I've got time for to go take pictures. Nikon SB-600 has all the above advantages and a $100 dearer price tag than the Nikon SB-R200 but you get more power and WB auto adjustment in a heavier weight combo too. 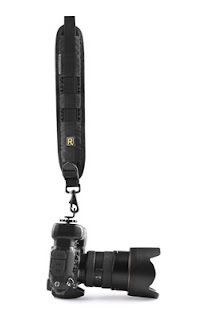 Like I said, I need an inconspicuous strap for my Nikon D90 and nothing come close to the [Blackrapid RS-1], which I bought today for $45. The RS-4 is slightly dearer with a tiny zipper compartment but I doubt it be useful to me. Both should come with the FastenR. The setup is straight and simple with the wing nut attached directly to your camera's tripod screw mount. One thing to note is the screw thread of the Blackrapid's wing nut, which is deeper than the depth of the Nikon D90 tripod screw mount. You will need to screw down the wing nut deep enough (but not all the way in) before tightening the wing screw nut against the camera base. 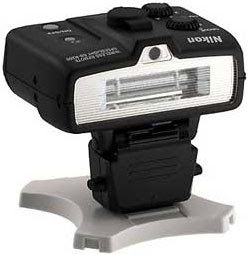 Also, if you intend to use your beloved tripod base plate (that comes with a fastener ring) with the Nikon D90, the use of the FastenR will not be necessary. Adjustment of the length is also a breeze with me ready to shoot almost 5 minutes after setup. Now, the strap cushion should sit squarely on your shoulder, making the carrying of your camera system effortlessly with both hands free. With that, I went on a short shooting spree today and am much more confident of using it with my style now. Good, what's next? O yes, gaffer tapes...to cover the camera logo up. Now, I am ready for Manila. I hope having fun in writing has proved usefully fun to you too! 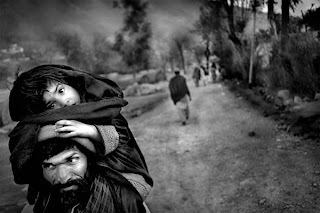 Just for those who would rather sit back, and savor the very reason of getting their Nikon D90 - to take exceptional pictures that tells a thousand words, I attach the link to the best photos I have seen for 2008 in pictures [here]. Pour up some coffee and enjoy! Stunning. 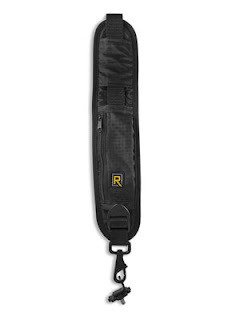 Seems that everyone is raving and talking about this new kid on the block for straps - Blackrapid. I mean it looks comfortable and handy (as seen on the product video) but I have yet to try it out myself. You see, so far, my little homework on my upcoming visit to Philippines has not turn out too positive. In short, its a rough place to be in where most people live below the poverty line. The more promising talents have all left the country for outsourcing jobs, and in the 8.5 million commoners in Manila today, most are jobless or not exactly doing much. Corruption is at a all-time high. No one actually bothered. The MRT (train network) extension plan for the airport discussed in 2002 is still been planned in 2009. In other words, its a stagnant economy with poor safety records and likely low moral. I am even told that its not very safe to even carry your Nikon D90 around over your neck (as my colleague pointed out) without being harassed or robbed. OK, so its worse than Malaysia! I get the picture. Despite all that, I would still want to carry my Nikon D90 camera system to Manila (with insurance purchase of course) but I am seriously considering the use of the inconspicuous Blackrapid's R-strap under my coat while traveling there. It kinda help me hide my gear while still allowing me to shoot fast when needed. At about $50, its also not about to break the bank. Sigma Lens - Ludicre Alternatives? Just visited the Sigma HQ today, allowing me to ask a few intelligent questions while collecting some brochures for every of the 40 lenses offered by Sigma. First glance, the image work found on each catalog wasn't impressive. Either they've got amateurs to shoot for them or we are talking about shabby lens performance. I am not sure which. Maybe, they are not using the Nikon D90 body with the lens...but overall Sigma images lack that punch Nikon photographers are familiar with. 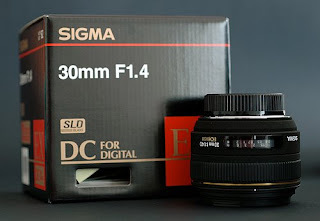 Now, the Sigma 30mm F/1.4 is like the beacon of light in the sea of darkness for Sigma. Its a different animal altogether. It shoots brilliantly for the price it commands at $400. 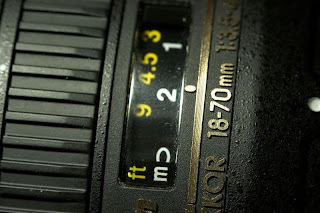 All in all, Sigma is 12 years into the photography game, Nikkor, over 75. Obviously, there's a gap. My next attempt is to fix one on and shoot with my Nikon D90. That should be more conclusive! Anyone using this combination? It will be quite intimidating and "professional" won't you think? Just for some 15-minute lunch break Photoshop fun! Have a good laugh! Apology to anyone who actually uses this monstrous combination. 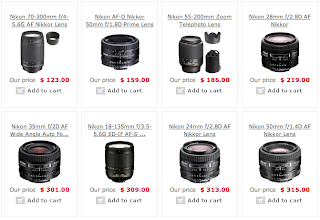 Warning - Online Scam Sites Offering Fantastic Nikon Deals! I know its an almost hard-to-resist deal, but I am certainly seeing more and more professional scam websites that seek to give your brain a test when purchasing your Nikon gears online. To add onto that, they engages Google Adsense to locate you, giving surfers a seemingly more credible air when you click on them. In addition, some of this sites even gives their site some low credibility validation links from cheap web hosts around the world. 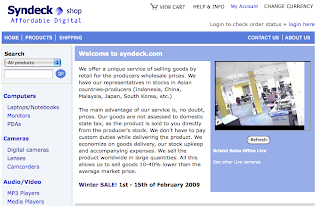 One such site is [syndeck]. Check it out! They only demand non-insured wire transfers for each purchase. Implying that you won't be seeing your money again once performed. Simple ops pivoted to appeal to greedy buyers. Be cool, use your judgment and you should be fine. Ever prepared to continue shooting with your Nikon D90 broken or stolen at somewhere you may not return to anytime soon? You need to be ready with a reliable smaller camera that can be equally trusted and performance-oriented still. I personally trust Canon over Nikon when it comes to smaller camera (as I still own the Canon G2!) I have seen it perform and still performs very well in the hands of my eldest son today! 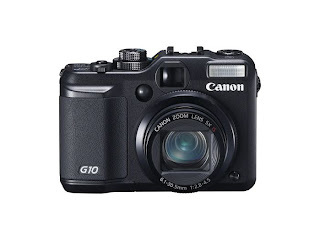 Hence, to review an updated version of compact cameras, the Canon G10 will easily meet my shooting style and needs. 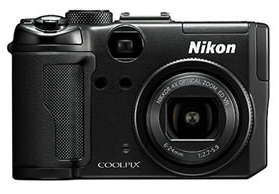 The Nikon P6000 is just a tad more flimsy and lighter in weight while the price of this two camera are on the same tier. That said, however, my existing Nikon SB-400 works seamlessly with the Nikon P6000! Hmm...tough choice! Let me think about it. More spare cash? 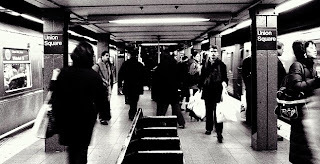 Get the Sigma DP1 or Leica D-Lux 4. Its both a gem and differentiate herself with the former packed with a SLR-size sensor and the latter german optics! But with its hefty price tag, I will leave both alone for now. Travel Preparation Tips to Shoot Great Pictures with Nikon D90! Nikon D90 Easter Egg - Good Old Date Day is Back! Some how, I am given the impression that higher-end camera tends to leave out the date print found on our old photos in the cabinets. My Contax T3 has that as a hefty $200 option to replace the back cover with one with a date imprint feature! That's wicked. Moving on to the Nikon D90, I could not locate anything that resembles the above feature until a few minutes ago! 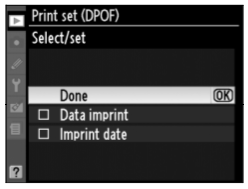 Its classified as "Print set (DPOF)" under the playback menu of the camera. Upon selecting the photo(s) you wish to print, you are given the option to print both data and date onto the picture you so chosen. Well, at least this feature comes without the need to shelf out more cash like my older compacts. 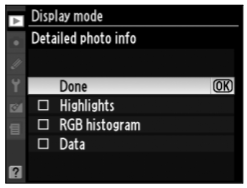 By default, we get the basic histogram when we review each photo on the Nikon D90. A couple of articles were actually devoted in the past about getting the most out of those colored graphs. In addition to the default, I finally discovered that you can actually view photo data and even picture highlights! This trio set of information sure gives amateur photographers like us a much needed helping hand to learn from our every shots. RGB Histograms - See my previous articles. Data - Display camera settings, time, date of shot, including metering, focal length etc. OK. OK. The wait is on as your license is being reviewed and approved with the stock vendors. Now what? Wait for two weeks with our hands in the pocket? No Sir! While waiting, I would strongly recommend spending another 15 minutes to evaluate the possibility of setting up your very own photo stock online shop front! One particular store that caught my eyes is ifp3. But its not free from $15 per month. If you already got a web host, chances are it will be cheaper to ride on that existing bandwagon. But if you are paranoid about web stuff, play save with services from ifp3 and the like. Hey, they even promise you a nifty 5-minute setup with a limited time trial. Go for it. Make your day. 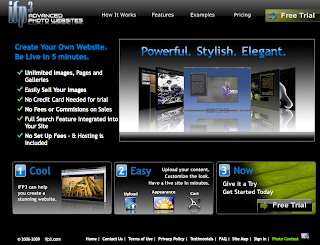 Own a storefront for your photos today. Welcome to Nikon D90 Lab! For those who just managed to locate this blog, welcome to the one and only blog at the date of writing covering what the Nikon D90 is all about in greatest of detail, while helping every readers overcome the barriers of using the sophisticated camera as their first DSLR. You are advised to read from the first article as they are all time-chronologically written from ground zero. 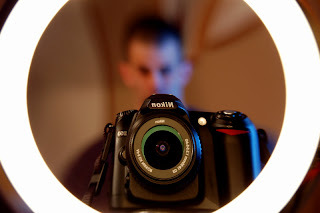 I started this blog after my purchase of the Nikon D90 in mid December 2008. So you are not too late if you are here for the first time. For all those faithful readers, to really move away from the functionality of the the camera and into some more advanced photography techniques, all while investigating the path to make some cash out of your new found hobby. For me personally, an interesting journey to a new dimension in my life, in capturing the precious moments of my family with the Nikon D90 while giving myself more reasons to travel around the world! 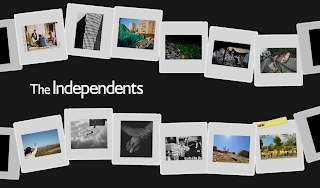 My recent scurrying all over the Internet has all led me to a handful of reputable photo stockist, of which I have just managed to setup the account, study and pass the quiz test, upload my work and wait for my qualification license to start selling my photos! Mind you, it does not seem as long and tedious as I have written but you need about 15 minutes to do so. 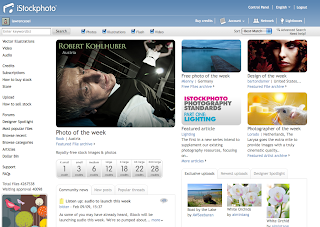 I chose istockphoto but you can alternate your choice with others like istockpro, thinkstock etc. The idea is to enroll onto one as soon as possible. Prime lens photographers rejoice today as Nikon introduces the Nikkor 35mm F/1.8G! Sample pictures looks spectacular and with a price tag of $200 seems approachable. We are beginning to explore some monetary incentives to shoot more with big stock photo vendors but really, to come and think of it, we are no different from an artist who desires to create a work of art while presenting it to the world in our own unique way. Carving with light, its really oftentimes either an artistic act for good photographers or a mechanical act for not-so-good photographers! I have come across too many friends and strangers alike who shoots poor quality pictures with their highly competent Nikon D700 and D3s. Its talent and hard work put together. Quite an interesting prospect and label I must say...that we are, by trait a photographer, but by nature, an artist. Hmm...nice. Think Tank Part I - Make Money with Your Images! 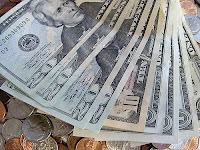 If you enjoy photography, a good logical step is to try and make money from your hobby. Then you can spend more time doing what you enjoy. Selling your photographs takes time and dedication, but it is possible. Lots of people do it, and you can too. Almost every professional photographer started out in some other field: Elliott Porter was a doctor, Ansel Adams was a pianist, Galen Rowell was a mechanic, Bob Krist was an actor. I am still a Business IT Advisor but you never know. If these people can start from nowhere and sell their work, so can you. The nice part about selling photography is that anyone can do it -- you're not dependent upon physical ability, age, or background. It's more about art and energy. The photographic market is so open that every photographer and publisher I've met is pleased to give ideas and suggestions. Swamped with work for the last two weeks! But hey, it's also a good time for me to stop thinking and start shooting! As you can see, my collection of shoot is growing steadily but surely. After all, its about the pleasure of shoot that gets me excited, and not so much of the technicalities. Hence, do make time to get out there and practice that you can apply what you have theoretically learnt so far. As for me, preparation work is now been done that I can be ready for my trip to Manila Philippines. Articles found [here] can help you get ready in a more systematic way. Burning question - what is the biggest print size we can get out of our Nikon D90's 12.3 MP images? To calculate (in inches) the largest photo-quality print you can make from a digital file, using its native resolution, meaning no interpolation, divide the vertical and horizontal pixel counts by 240. If you are making images for commercial publication or other critical applications, or if you want exhibition-quality prints from commercial printers, divide the pixel counts by 300. 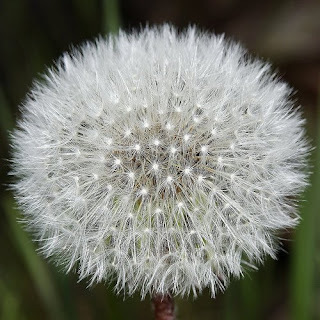 Let’s take an image from the Nikon D90 as an example. It makes a high quality jpeg image at 4288 x 2848 pixels. Using the formula above, that would generate a native print size of 17.8″ x 11.8″ at 240 DPI. Now remember, this assumes you haven’t "pumped" up the image in Photoshop. The next step in the formula is to take this print size and multiply it by 25%. That is the largest amount of image interpolation the picture can stand and still maintain reasonable photo quality - in my opinion. Sigma Lens - Good Alternative of Nikkor Lens? In this competitive and stifling lens manufacturing market, its a consumer market out there, with more-for-less slogan broadcasted from every camera retailers around us. This brings me to review some of the more promising lens manufacturers that seek to convince me of their better value lens. And with the credit crunch that won't be leaving anytime soon, I thought it would be good for me to seek my next lens purchase possibly on a non-Nikkor name tag. After all, its been almost 20 years since I used a generic lens maker like Sigma (on my dad's Minolta Dynax 5i) but I am willing to check them out objectively. So, for the next few weeks, I would be testing them out and giving you my opinion on each Sigma lens I tried. If it matches my current two-lens library in all that I am so familiar with, why not? After all, Sigma and Tamron claim full compatibility with Nikon DSLRs. For as cheap as $49.95, I am ready to explore the world of macro photography with my trusted Nikkor 50mm F/1.8D lens and Manfrotto 190XB tripod. 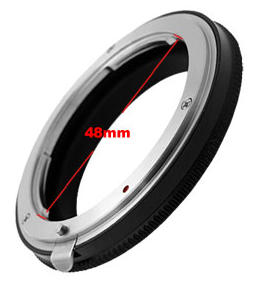 According to Nikon, the reverse ratio gives the Nikkor 50mm F/1.8D a 1.1:1 ratio, quite close to live size shooting mode. Let me go get the Nikon BR-2A ring before I write further. I am sure by now, all of you are quite conversant with the Nikon D90's post "Image Overlay" capability but its more of a post processing work you are doing here. If you really want, the fact is that you can do it on-the-fly with the Nikon D90's Multiple Exposure feature (in shooting menu)! Turn it on and shoot up to 3 images before the camera auto-layered them into one image for you. Talk about creative possibility here...another cool feature I discover today. Now, based on the manual, this intended feature is to enrich one single shot (preferably on a tripod) with its auto-gain engine. Sort of moving into the HDR arena but not quite. But results show that it does give the final result an added boost in color and tonal spatial gradients. 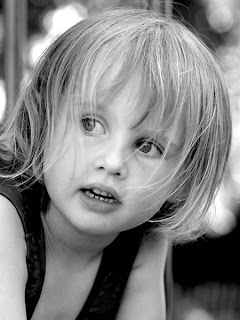 Some folks use software like Photoshop to do this but I must say its cool to be able to do it right with our Nikon D90! 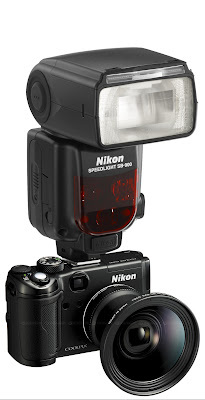 If you own the Nikon SB-400 speedlight, repeating flash option is not available for your use with the Nikon D90. In those instances where you see its use, you have to rely on the built-in flash to get the job done. 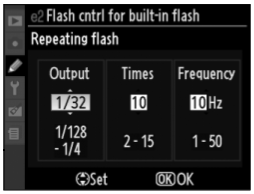 There's some serious logic you need to understand while in the "Flash Cntrl for built-in flash" menu (e2) to use repeat flash. First, we determine its power output for each repeating flash - between full and 1/128. With that done, the Nikon D90 will automatically limit you to determine your desired number of times it fires. 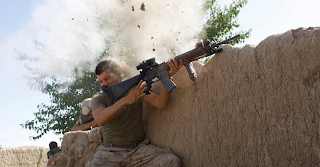 (Note - your desired value may not translate to actual number of times the flash fires). Take note that in its full capacity, the built-in flash can only reach up to 18m at ISO 200 / 20 Degree Celsius). Hence, at say, 1/4 power, you can effectively reach subjects not further than 4.5 meter away from your camera. With that in mind, the power of the repeating flash you set is directly linked to the distance of your subject, which in turn, affects the total number of times your built-in flash can fire in one second! 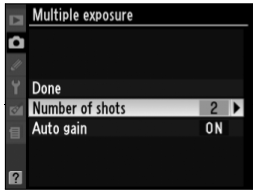 Now, its quite sensible to set your shoot mode at shutter priority for repeating flash shoot. 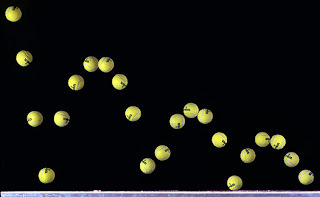 Hence, if you set your repeating flash to fire at 5 times per second, you should get five "ghost" images of your subject in motion during shutter release duration of that one second. Try it with your kids or a moving object. 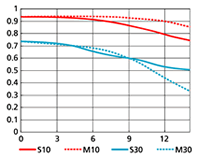 Do you rate the quality of your lens by the 100%-size sharpness assessment? That is to say, you blow the image up to its full size, and review its sharpness based on what your eyes tell you. I do that all the time. And comparatively speaking, its a good gauge of picture quality from your computer screen. Take for example the Nikkor 18-105mm VR kit lens. I must confess it hits most shots spot-on in the sharpness department even at 100%. Move over to the Nikkor 50mm F/1.8 lens. It can hardly match the more expensive kit lens in that. So, in the above context, verdict is, the Nikkor 50mm F/1.8 is not a sharper lens that many people say it is. (Maybe these folks have not used a more capable lens!) BUT, here's the catch of my verdict - if you shoot your Nikkor 50mm F/1.8, at say F/2.8, and get it printed on a standard 4R-sized photo paper via say, an Epson T30, the subject is as sharp as a razor blade!!! Is this good enough for me? Yes, considering its $100 price tag and the ability to shoot at much lower-light conditions. Never have I seen such a wide range of Nikon lenses on an online shop so competitively priced - HK Supplies, that I am making a point to visit it in March 2009. For you who simply wants reference price point, its a superb place to visit and even place your order! Another excellent video advertisement entirely shot with the Nikon D90. Once in a while, its good to put up some challenge for yourself, constraining you to mind your shoot more consciously. For mine, it will be something I have been conditioning myself to do - use the Nikkor 50mm exclusively in my upcoming trip to the Philippines. This is also partly due to the luggage space I am planning to take with me. In my last trip on the cruise, I succumb to using my Nikkor 18-105mm lens at the end when I board the ship as its seriously limited to shoot indoor with the 50mm lens. Hopefully, I will be forced to improve my fundamentals in this way. Otherwise, its goin' to turn soft and fluffy 95% of the time, giving you that reason to avoid its use subsequently. 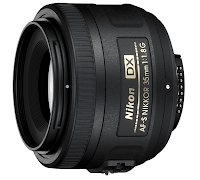 It gets worse on the more expensive Nikkor 50mm F/1.4 lens! Averaging at about 26 shots a day so far since my ownership of the Nikon D90, I think I am still under-utilizing my Nikon D90. Hmm...not good enough. But mind you, I am not suggesting you aimlessly and carelessly clock those shots but I think I can better integrate my shoot-life with my family and work life. Let me review what can be done and I will get back to all of you shortly. 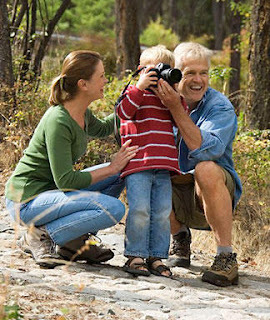 If you ever shoot on tripod delayed-timed for a family portrait (with small children), you will soon learn the big possibility of a re-shoot due to the lack of eye contacts of the younger subjects when you failed to coax them to look towards the lens upon shutter release. Fear not for help is at hand on the Nikon D90! Here's what you simply need to do. Under the C3 Menu item - Self timer, simply ensure "Number of shots" are set to 3 (or to a maximum of 9 shots) before your next shoot. 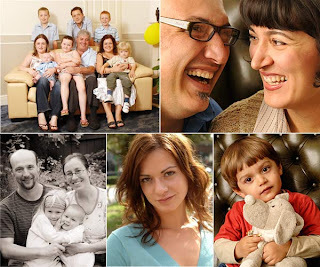 In this way, the elapsed timer will result in a release of a salvo of multiple continuous shot on your subjects, giving you a higher probability of getting a good family portrait with good eye contacts. We all know the shallowness of the DOF (Depth Of Field) on a big aperture setting lens, but has often been left clueless as to where exactly are those range of sharpness (in meters/feet) when we focus on our subjects. So, to help you and me, follow the attached guide for your shoot with the 50mm lens. You will find yourself consciously shooting sharper pictures in no time! 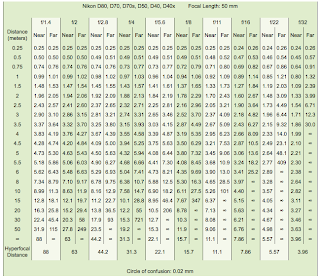 Want more focal length measurement? Check it out [here]. I know this has nothing to do with our Nikon D90 but may be relevant to some of you who choose to show off your work (maybe to prospective clients?) on a DVD instead of some online image carousel service. Nikon D90 + Mac OS X + Macbook (with DVD Writer) = Sleek Automated Happiness to Create DVD! click [here], otherwise click [here]. Its been coming to a month now that I have been reviewing the absurdity yet effectiveness of shooting with a reverse mount of my Nikkor 50mm lens on my Nikon D90. 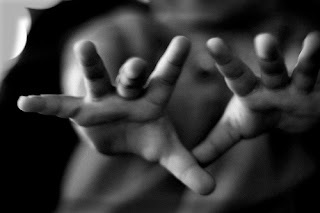 Each picture I saw affirms me that its a twist of genius as opposed to insanity. Attaching this $10 adapter kit on the Nikon D90, my 50mm F/1.8 lens is instantly transformed into an outstanding macro lens! Check the top image out for result! Its been a while since gray cards and stuff are introduced to help photographers hone in on getting the right White Balance temperature. Frankly, it was more of an art prior to this invention. 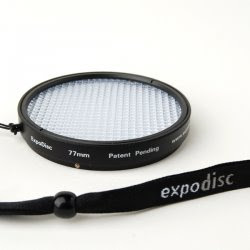 However, in the recent development of "lens cap" version of such WB tool, a company with a product called ExpoDisc seems to nail this art work more towards science and predictability. In a way, experience in measuring K temperature is being superseded with high-tech gadgetry. So, for a mere $69.95, your skills in shooting better-balanced images is acquired. 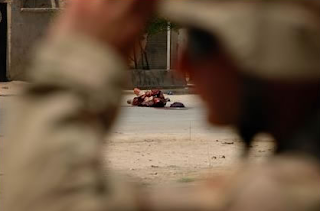 So with all the theoretical blizzard of Nikon D90 being war-proofed for some action, I did not believe that it can actually be used by anyone on any real war front, not at least until I came across Ashley Gilbertson's visual account of the Iraqi invasion with his Nikon D70! 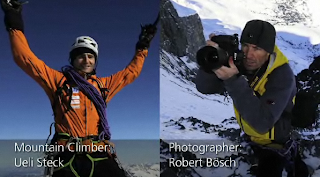 Check out his gear and his full visual journalistic account [here]. It sounds so bloody interesting against our current job, does it? 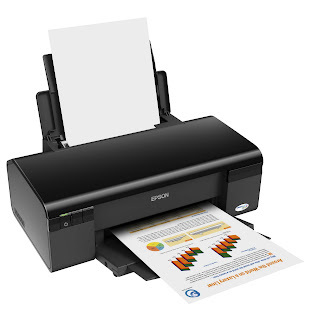 Remember my last review of the Epson photo printer? The one that has a small footprint but boasts print economy? Well, to my discovery today, its considered a dye-print type printer that does just that at the expense of print quality. But we know Epson as a superior print company endorsed by many professional photographers. 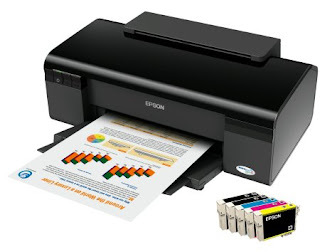 And in my pursuit of "better" perfection in my print out, I have decided to go back to the more cumbersome but higher-resolution inkjet printer from Epson. Pitching against the supreme Epson Stylus Photo R1900 printer, I decided to give the Epson Stylus Office T30 a try due to her $89 price tag! Call me cheap but breaking news of the spiralling-down economy just make me reconsider how good is actually enough. At an almost bleeding edge print resolution of 5760 dpi (Dot Per Inch) by 1440 dpi, I objectively believe its sufficiently sharp for 4R or even A4 sized prints. So how's the print quality, you would ask? Superbly sharp I must say at $89! 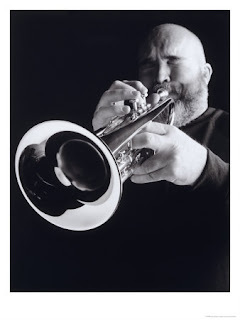 O yes, I recommend the inexpensive Canon Matt Photo Paper MP-101. Home run on every print. Word of caution - use the white-colored side of the photo paper to print on.